For fans of Conn Iggulden, Bernard Cornwell, Robyn Young and Ben Kane, comes the new historical series from the bestselling author of the Outlaw Chronicles. 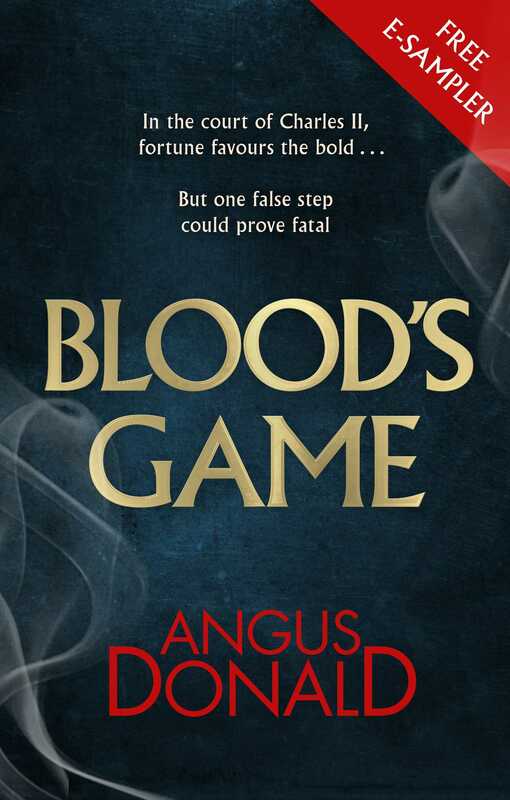 *This is FREE EBOOK SAMPLER for Angus Donald's thrilling brand-new novel BLOOD'S GAME* THE THRILLING NEW SERIES FROM THE BESTSELLING AUTHOR OF THE 'OUTLAW CHRONICLES'. AFTER THE TUDORS CAME THE STUARTS . . . London, Winter 1670. Holcroft Blood has entered the employ of the Duke of Buckingham, one of the most powerful men in the kingdom after the king. It is here that his education really begins. With a gift for numbers and decoding ciphers, Holcroft soon proves invaluable to the Duke, but when he's pushed into a betrayal he risks everything for revenge. His father, Colonel Thomas Blood, has fallen on hard times. A man used to fighting, he lives by his wits and survives by whatever means necessary. When he's asked to commit treason by stealing the crown jewels, he puts himself and his family in a dangerous situation - one that may end at the gallows. As the machinations of powerful men plot to secure the country's future, both father and son must learn what it is to survive in a more dangerous battlefield than war - the court of King Charles II. One false step could prove fatal . . .